Shannon O’Donnell has traveled to more nearly 60 countries since she left to travel around the world in 2008. She has been featured as an expert on travel and volunteering in national and international print, radio, and television and was named a National Geographic Traveler of the Year. She spends time in the United States each year to speak at Universities and conferences and she is a professional travel writer, trained public speaker, and author of the critically acclaimed book, The Volunteer Traveler’s Handbook. Interested in working with Shannon? Below are links and clips of past press and speaking experience. Featured travel and volunteering expert by CNN, BBC, Forbes, Globe and Mail, Evening Standard, News.com.au, Daily Mail, Business Insider, Frommers, U.S. News and World Report, BuzzFeed. Selamta Magazine, story on Barcelona, September 2018. Madam Eva Magazine, story on food and travel, August 2018. National Geographic Traveler magazine, Traveler of the Year feature story, November 2013. Delta Sky Magazine, wrote a piece on Ireland, 2014. La Presse newspaper, interviewed for a piece about volunteering. Money Magazine volunteering expert, December 2013. Times of India expert interview on volunteer travel. Interviewed by Cosmopolitan Italy on working remotely and traveling. Four interviews and stories (print and online) with the University of Central Florida (here is one). A contributing writer, To Nepal With Love guidebook. Featured as a source of travel inspiration in Modern in Denver Magazine (print and online). 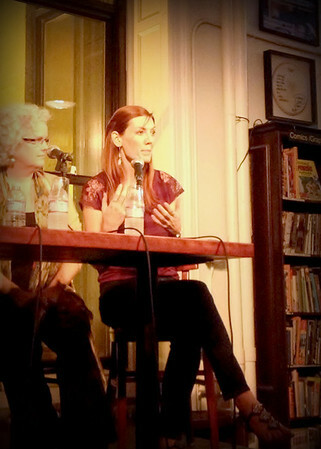 Shannon O’Donnell speaking at the Housing Works Bookstore in NYC. Expert on ethical volunteering for the London Evening Standard. Komsomolskaya Pravda interview on female perspectives in cinema and media. Business Insider interviewee on expat life. EcoSalon profile highlighting life of a long-term world traveler. 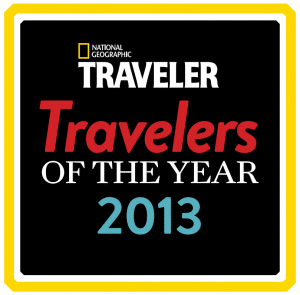 National Geographic Traveler of the Year online article. Forbes on traveling as a digital nomad, deciding on a destination, and volunteering on the road. U.S. News and World Report on travel tips. International Business Times about travel safety. Canada’s Globe and Mail on volunteer travel. Yahoo! Travel on travel and minimalism. Daily Mail about budget travel. BBC on working as location independent. BuzzFeed on solo female and budget travel. Australia’s news site, News.com.au about solo female travel. Global Times China about vegetarian travel. Interviewed in Repubblica in Italian about solo travel. Contributor to USA Today College about student travel. BBC Travel about living in Chiang Mai, Thailand. Interview about voluntourism on TRT World Roundtable. Guest on Daytime TV show (video, article). Interview on Fox Tampa Bay. Interview on ABC Action News. Interview on Orlando’s News 13 as an Everyday Hero. Speaker about responsible tourism for college students as part of the University of Maine’s “Going Global Speaker Series,” 2019. Moderator on a Sustainable Tourism panel at Berlin Travel Fest, 2019. Speaker at the VII St. Petersburg International Cultural Forum, with two panels: Communicating Culture in Media, and the Female Face of Cinematography, 2018. TravelCon speaker about Responsible Tourism as a Force for Good, 2018. Annual speaker with middle school classrooms in conjunction with units on Into The Wild, social justice units, and world cultures studies, 2010 to 2018. Central College in Iowa guest speaker to the freshman class, 2014. National Geographic Live event in Washington, DC in 2014. Shenandoah University keynote speaker at International Convocation, 2013. University of Central Florida guest speaker about entrepreneurship and travel, 2013. Speaker on SEO and Content at the TBEX 2012 Travel Blog Conference. Meet Plan Go panelist for the Orlando, Florida event, 2011. 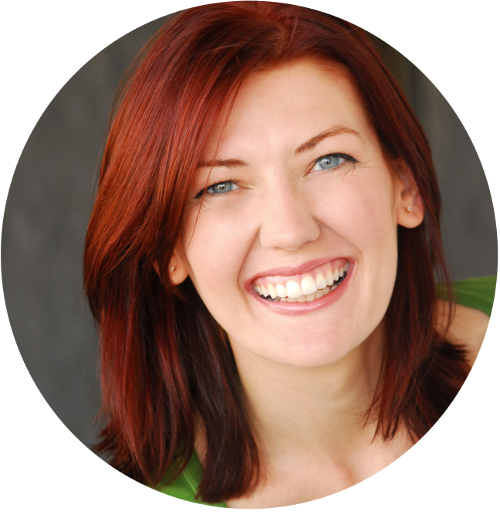 Presenter of various industry webinars and training sessions on Social Media and SEO; most recently a webinar on “How Better Storytelling Inspires Travel” for Travel Massive. Speaking at National Geographic Live! Ongoing relationship with Kuoni Travel brochures for Middle East images. Featured in Trinity University Magazine. Stowaway Magazine (print and online) for a piece on Semana Santa carpets in Guatemala. Featured in University of Missouri Illuminations report. Photography featured in the Schmap Sydney Guide. Featured podcast guest on: Amateur Traveler, This Week in Travel, and Armed Forces Radio Network. Vagabonding Case Study on Rolf Potts’ site.